If you’re worried that receiving a gift of money means you’ll lose some of it to taxes, you can rest easy. The IRS does not consider gifts as income, even a gift of money, so you won’t have to claim your monetary gift on your tax return or pay income taxes on it. Although money is a taxable gift, it’s the giver of the gift who is taxed and not the recipient. As the recipient of a cash gift, you can receive any amount tax-free. But there are tax-free limits for the givers of cash gifts before federal gift tax kicks in. These limits are called exclusions, because the gifts are excluded from being taxed. The good news is that the maximum gift exclusions are fairly hefty, which means that someone who gives you a monetary gift can be quite generous without incurring a tax penalty. For the 2017 tax year, individual taxpayers can give up to $14,000 to each person in a single year without having to pay taxes on the gift. This number rises to $15,000 for the 2018 tax year. Married taxpayers can give up to twice those limits to each person on their gift list without having to pay taxes on their gifts. There is no limit to how many people you can gift this tax-free money each year, so if you're gifting money to family members or friends, you don't have to choose your recipients based on tax considerations. During an individual taxpayer’s lifetime, the IRS extends a $5.49 million tax-free limit on monetary gifts as of 2017, with the amount rising to $11,180,000 as of 2018. The amount is doubled for married taxpayers, with the normal limit allowed for each spouse. This tax-free gift allowance is separate from the annual exclusion; for example, only amounts over the annual limit that are given to one person begin accruing toward the lifetime limit. When you die, your estate is potentially taxed to the extent it exceeds this limit, minus gifts you gave during your life over the annual limits. Some monetary gifts are exempt from the exclusion limits, which means that you can receive an unlimited amount of money tax-free from the giver. 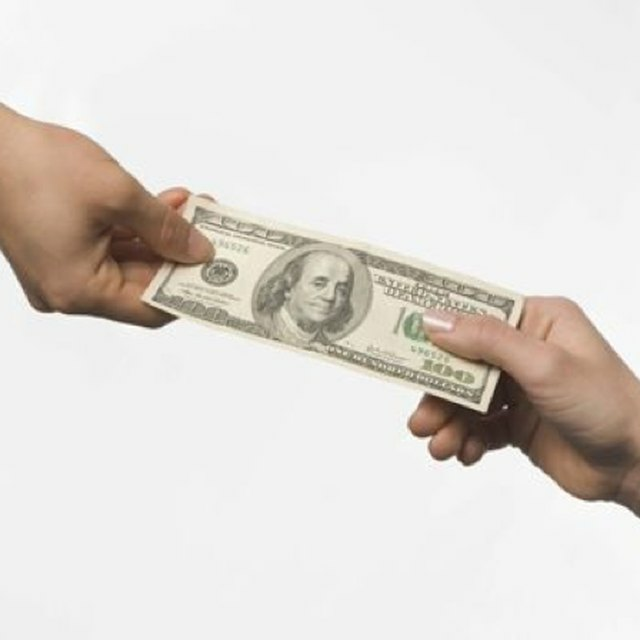 The instructions for IRS Form 709, “United States Gift (and Generation-Skipping Transfer) Tax Return lists these allowable gifts and the conditions placed on them. For example, someone can pay your qualifying medical bills without having to pay a gift tax if she makes payments directly to your medical provider. Someone can also pay for your education if the payment is made to a qualifying educational organization. Even better news here. If you're a U.S. citizen, your spouse can give you an unlimited amount of money as a tax-free gift. If you're not a U.S. citizen, in 2017 your spouse can give you up to $149,000 tax-free if the amount over the annual exclusion of $14,000 ($135,000) qualifies for the gift tax marital deduction. In 2018, the amount rises to $152,000. These qualifications are listed in Form 709. If you personally receive gifts of money for your IRS-qualified charitable organization, the money is subject to the IRS exclusion limits because the money is given to you directly. But if you ask your contributors to give directly to your charity instead of paying you on behalf of the charity, they can list their gifts as deductions on their tax returns. As of 2018, you can give someone $15,000 in gifts annually without counting toward your lifetime limit or incurring tax. The lifetime gift and estate tax exclusion is $11,180,000, and you can give a total of $152,000 in qualifying gifts to a non-U.S. spouse. The annual gift exclusion for 2017 is $14,000 per person, and the lifetime gift and estate tax exclusion is $5.49 million for gifts given before 2017 and for people who passed away that year. You can give a total of $148,000 in qualifying, tax-free gifts to a non-U.S. spouse in 2017.